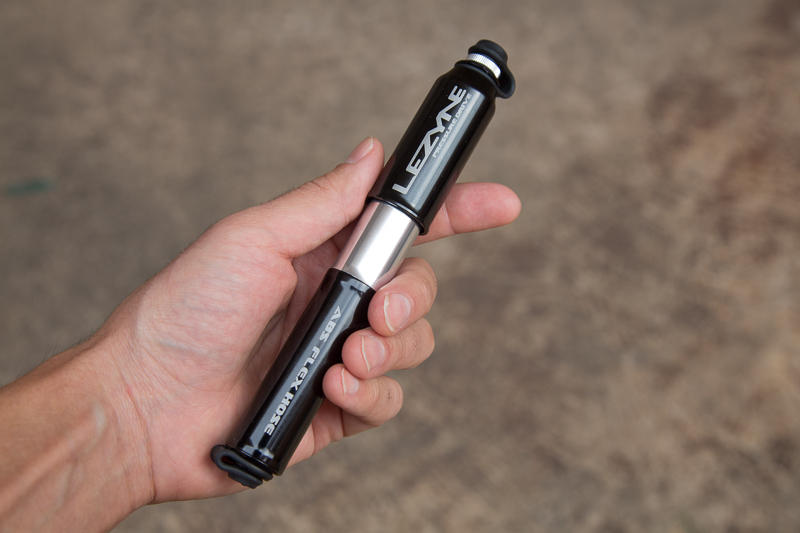 Bespoke & Wheel: Lezyne and Topeak Mini-Pump Test And Review! 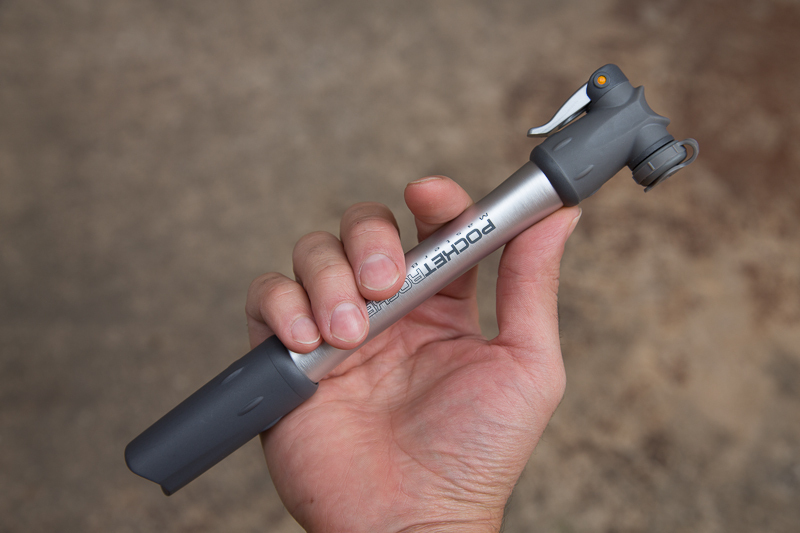 Lezyne and Topeak Mini-Pump Test And Review! Before leaving for my ride, I quickly glanced in my saddle bag to make sure I had the appropriate tools and supplies to fix a flat, although I really didn't see what was, or wasn't in there. It took the inevitable flat for me to learn that all I had was one half full cartridge and one empty. I couldn't find the hole in my tube and used the rest of the half full cartridge to inflate it just enough to find the leak, which I didn't find. Thats when I realized my predicament. I clickity-clacked my way back to the studio in my spandex and road shoes, stewing the entire way. Never again would I be beholden to the mercies of the CO2 cartridge! I got changed and drove all over town looking for a suitable mini pump. The selection was suprisingly limited, but I was determined to divorce the cartridge and marry the pump, and my momma told me, you better shop around. My criteria for the perfect pump were few. I wanted it to fit discreatly in my jersey pocket, and I wanted it to work. What I ended up with were three options from Lezyne, and two from Topeak. All of the Lezyne pumps I tested featured the "Flex Hose", which fits neatly inside the pump, and then threads onto the other end. Actually each pump had a slightly different flex hose, which I find to be a little strange. The two from Topeak were slip fit only. I did see that Topeak has a product line with a flex hose type system called "Smart Head Thread Lock", which looks remarkably like the Lezyne pumps at first glance. From what I can tell it looks very similar to Lezyne's, but it would appear that Topeak has found a way to make it a little more simple. 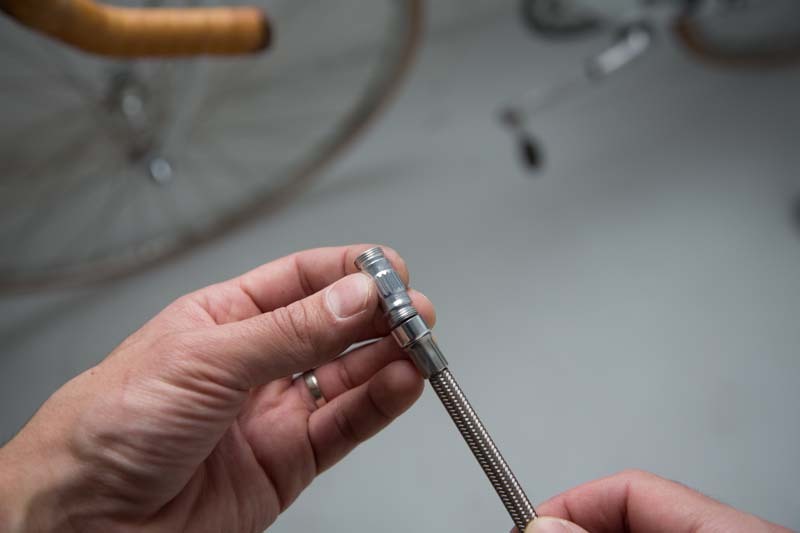 The Road Drive is Presta only, one side of the hose slips on the presta valve, and is designed to be more speedy, while the other side threads onto the valve, which gives you a much better seal. It's also got an "Air Bleed System", which is supposed to relieve friction by releasing the air trapped between the hose and the valve. I found that it just releases air from your tire. It comes in white, black and silver. It feels a little awkward to thread the hose onto the valve once it's already attached to the pump, since you have to rotate the entire contraption, but it's not really a big deal. At first I thought the hose had an adapter on the slip fit side that was completely useless. I've since realized that it's made so you can rebuild it once it's worn. Sometimes threading the hose back into the handle proves to be difficult to get started, which makes you wonder if you're doing it wrong, especially since every single end of every piece has threads. I found that the little rubber gasket that keeps the handle in place wants to move around a lot, which is another irritating thing that makes it less than perfect. Overall, I think this pump is just over engineered. The Pressure Drive is very similar to the Road Drive, but without some of the hangups. First off, the flex hose can be used for both Schrader and Presta. You'll have to thread it on either way, no "quick slip" option. The hose does still feature the "air bleed system". Secondly, there are no extra pieces to loose or fumble with, other than the hose itself of course. And finally, no rubber gasket. It's a lot shorter than the Road Drive, but a little fatter, and less sleek. 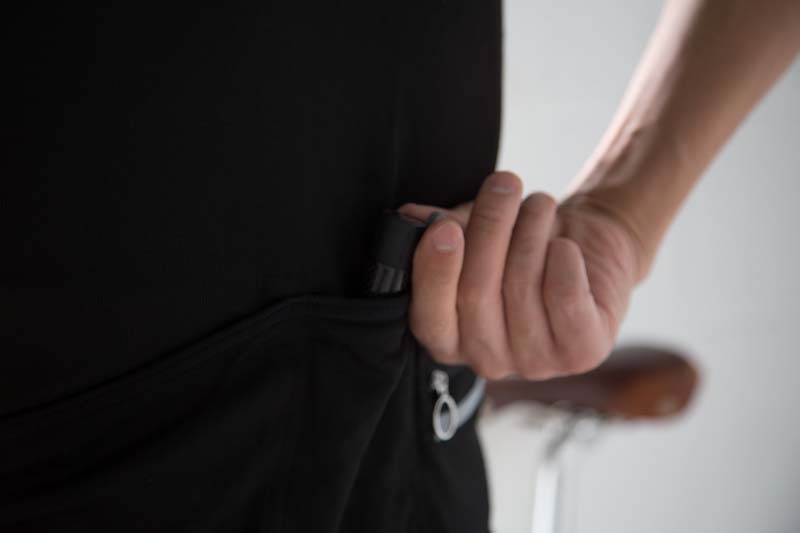 The handle has a bit of a flare right in the middle, which makes it a little bit uncomfortable in the pocket, but it feels good when using it, which is important when using a mini pump, because you are going to be using it for a long time. This was my favorite of the three I tried from Lezyne due to its balance of efficiency and size. Pretty much the same pump with one major difference. The hose, which is braided stainless steel (the pressure drive hose is rubber), also doubles as a CO2 inflator. and finally you thread the CO2 cartridge onto the other end of the hose. Since there is no way to regulate the flow, watch out for frozen fingers. The under bottle cage mount for this one is pretty ridiculous. It kinda makes your bike look like it's got a batman tool belt. Now, if I can just reach my shark repellent! 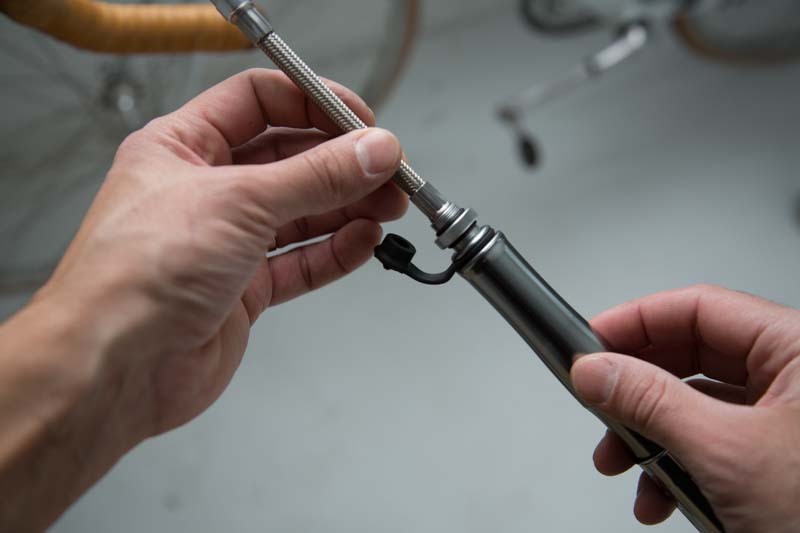 The Pocket Rocket is your run of the mill mini frame pump. 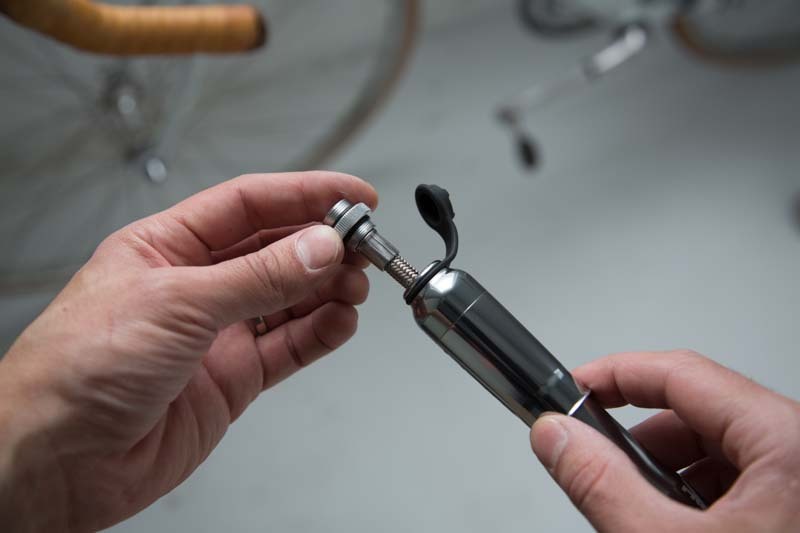 It's compatible with both Presta and Schrader valves, slips on, you flip the lock on the back and pump. It's very comparible to Lezyne's Road Drive in size, but without the over engineering. It's kinda underwhelming really, but it works well. I generally don't care about carbon fiber. If there had been an aluminum verson of this pump at the store, I'd have bought that one. But luckily there wasn't, because now I am a carbon fiber man, at least when it comes to micro pumps. 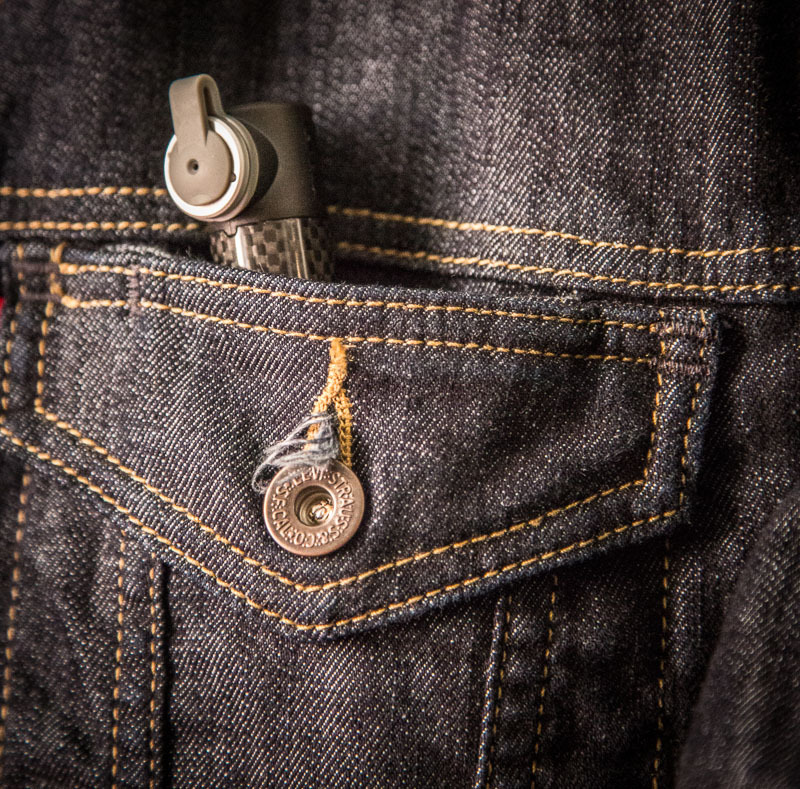 This pump fits in your pocket, pants pocket, jacket pocket, shorts, jersey, you name it. It's design is incredibly simple, no pieces to loose, no levers to flip, nothing. It's like a big lipstick tube, smooth and shiny. You press it on (Schrader only), and start pumping..... and pumping.....and get comfortable there guy, you're gonna be at it for a while. Yes, size matters when it comes to pumps, which is why traditional frame pumps are so big. I'm keeping the Micro Rocket. At 55 grams, it's almost half the weight of its nearest competitor, and there are no parts to loose or fiddle with. Take the Micro Rocket, some tire levers, and a patch kit and you're good to go. 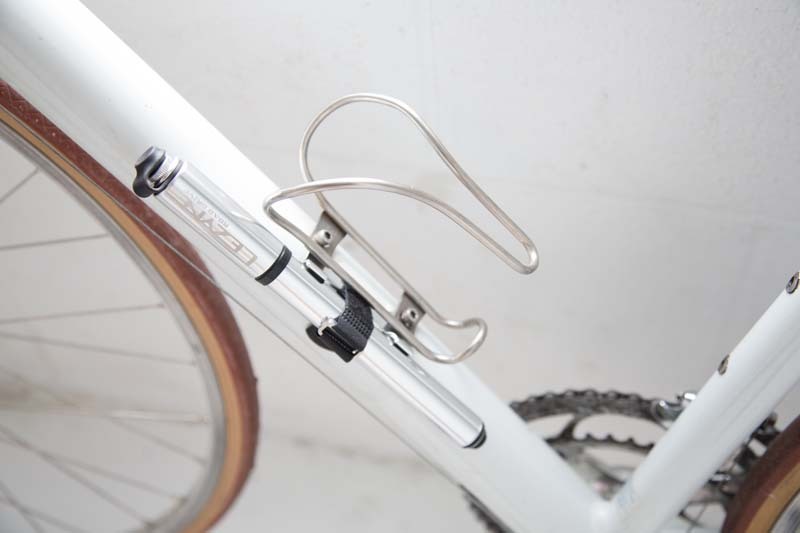 As a commuter, I don't want to strap something to my frame, just more stuff for people to steal, and they're ugly, unless you're doing a Silca on a clasic frame, or maybe on your Mountain bike. Sure, if you've got a bag, a larger pump might be a better choice, they defineatly move air faster, but if you just want to ride around on your bike without a bunch of baggage, the Micro Rocket is a great option. 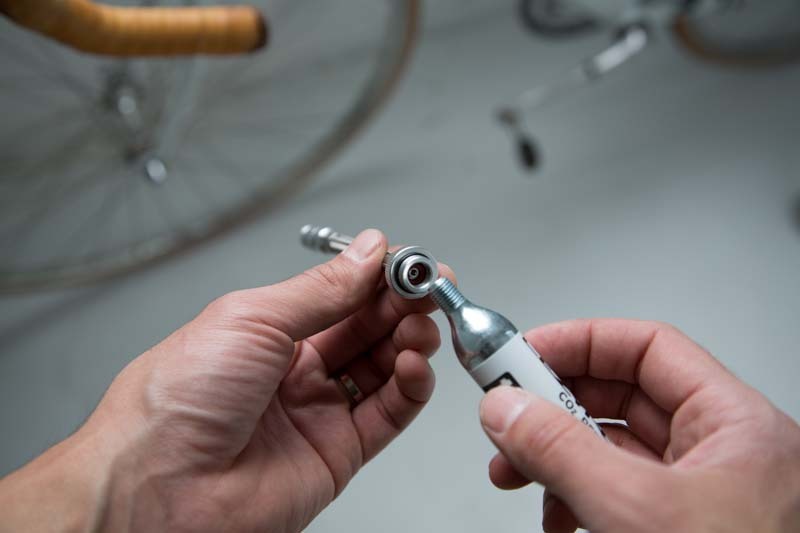 If you have to have Schrader valve compatibility, take a look at the Lezyne Pressure Drive. It's way better at putting air in your tube than the Micro Rocket due to the size of the barrel/piston, but you are going to feel it in your pocket. You'll probably enjoy the Flex Hose too, it makes for a better pumping experience (what kind of blog is this?). 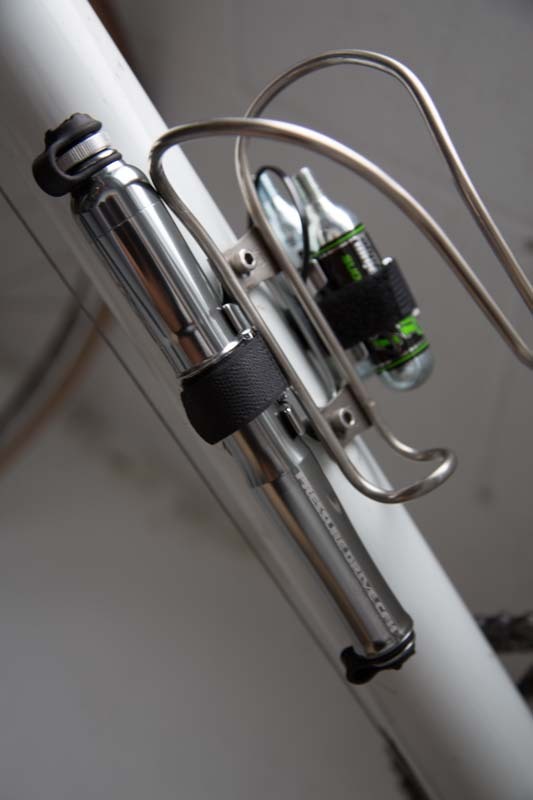 If you like Topeak products better you should probably check out the "Smart Head Thread Lock" thing. As far as the C02 cartridges go, save them for race day (aren't you going to lose if you get a flat anyway?). Group rides you say? Your buddies can wait. They'll probably get a kick out of watching you work that tiny pump. 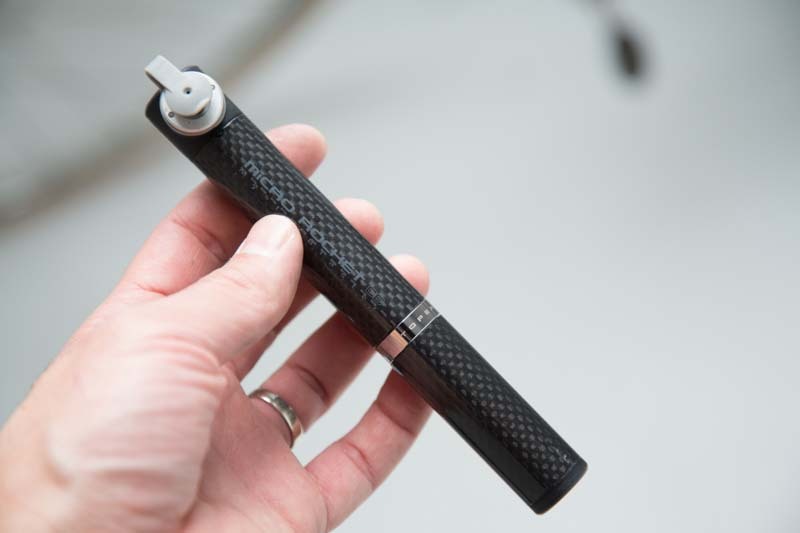 Plus, you save money, you don't have to throw that empty CO2 cartridge back in your bag, or worse yet, on the ground. Yeah, I'm talking to you douche bag! Stop that! Get a pump! When you are selecting an air compressor, it is vital to pick one that will serve the main purpose for which it is planned. If you want to buy a good air compressor, you need to check for air compressor reviews.